"People with AD/HD are susceptible to high levels of anger and aggression. The core symptoms of AD/HD are frustrating to live with and tiring to manage. These factors make AD/HD a challenge for families to cope with. In this session, the relationship between AD/HD and anger will be outlined. Strategies for identifying build up of tension and overload, and preventing temper outbursts will be presented." 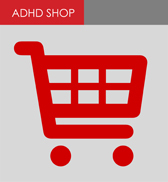 Hear Caroline Stevenson PhD discuss AD/HD and Anger at the upcoming ADHD Annual Conference. What is the relationship between Anxiety, Depression and ADHD? What are the treatments available? Many report that often people with ADHD have other co-existing mental health problems, commonly anxiety and depression. Dr. Terry Lim, Consultant Psychiatrist will be a speaker at the upcoming Adult ADHD Conference on Saturday 17 October 2015. His talk will explore the relationship between anxiety, depression and ADHD as well as what treatment is available. Dr Lim will also talk about how to recognise the difference between these conditions as well as how they affect one another. A New Zealand optometrist has warned that the ‘blue light’ emitted from smart-phones, tablets and computers could be putting users at risk of early onset macular degeneration. Replacing meth with ADHD drugs may be the same as nicotine replacement or using methadone to treat heroin addicts. Which would you say is most useful to an entrepreneur; perseverance, the letters MBA on your CV header, or attention deficit hyperactivity disorder (ADHD)? Serial entrepreneur and business coach Cameron Herold might punt for the last. In his popular 2010 TED talk – “Let’s raise kids to be entrepreneurs” – Herold argued that behavioural traits associated with the disorder, such as a tendency to see the whole picture rather than remember detail, should be encouraged and developed by schools, because they are key entrepreneurial qualities. “Attention deficit [hyperactivity] disorder can be a problem, or it can be an opportunity,” he told us. The Canadian, who has ADHD, launched his first business aged 21 and has since grown three companies past the $100m mark. He was previously vice president of Ubarter.com (a B2B bartering services company), chief operating officer of 1-800-GOT-JUNK? and is now chief operating officer of coaching company BackPocket. He opened his TED talk with the line: “I would be willing to bet that I’m the dumbest guy in the room because I couldn’t get through school” and describes how he struggled in the classroom. Health Canada : "The benefits of medication outweigh the risks"